Scripture is the cornerstone for the spiritual relationship between Jews and Christians. 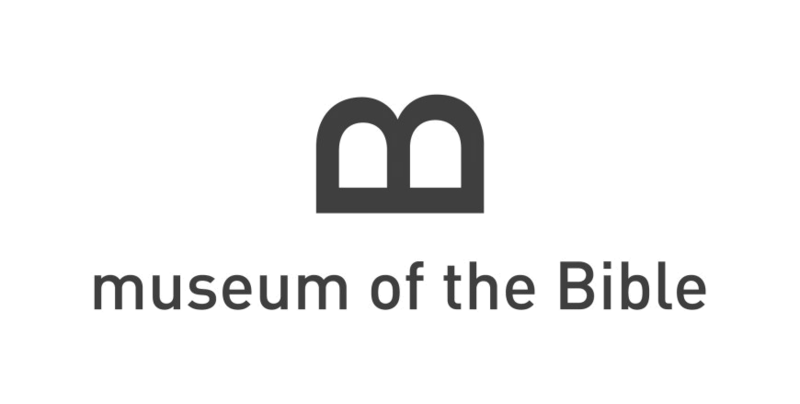 Both Judaism and Christianity revere and consider the Hebrew Bible (The Old Testament) as authoritative text, and agree that understanding the Hebrew of the Bible is important to its tradition’s exegesis. In addition, both Jews and Christians view these canonized texts as the bedrock on how to live a Godly life. 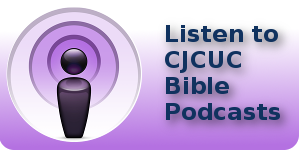 Since inception in 2008, CJCUC developed an unprecedented Hebraic Bible text study. Each year, we host thousands of Christians in Israel and the CJCUC staff are invited to teach in churches worldwide. Our Bible studies serve as bridge-builder on how Jews and Christians have much in common with one another. 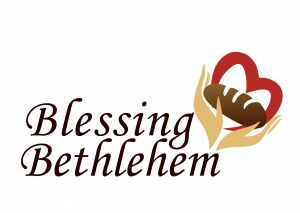 Blessing Bethlehem is an initiative designed to help the persecuted Christian community living in Bethlehem and the surrounding areas. Our mandate is based upon Isaiah 58:6, where God asks of us to "share your bread with the hungry." Assistance is provided in the form of weekly food deliveries. 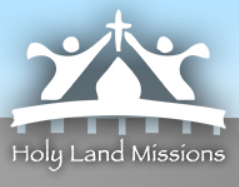 Covenant Land comes with covenant responsibility. The cooperation between Jews and Christians in helping to put food on the table to Christian Arabs living in the birthplace of Christianity demonstrates to them that they are not alone. Each week, there is a reminder that people love and care for them. The Book of Psalms has both served as the liturgies for both Jewish and Christian worship as well as expressing a wide range of personal and collective emotions, circumstances, and requests. Rarely has the Psalter been utilized as a way to bring both communities together in prayer. In 2015, the Day to Praise was launched inviting Christians to join the Jewish people in reciting Psalms 113-118, known as the Hallel, on Israel's Independence Day. CJCUC conducts a local Hallel service in Israel, where hundreds gather to praise the God of Abraham, Isaac and Jacob. In addition, the Day to Praise produces Hallel worship songs to make Psalms 113-118 relevant in congregational prayer life. 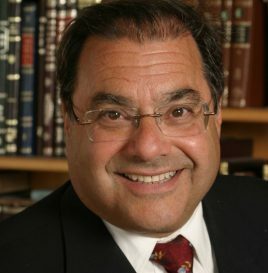 In January of 2008, a historical moment took place when Rabbi Shlomo Riskin and David Nekrutman established the first Orthodox Jewish institution, the Center for Jewish-Christian Understanding & Cooperation (CJCUC), dedicated to religious dialogue, mutual understanding and active cooperation with Christians. CJCUC is under the auspices of Ohr Torah Stone. 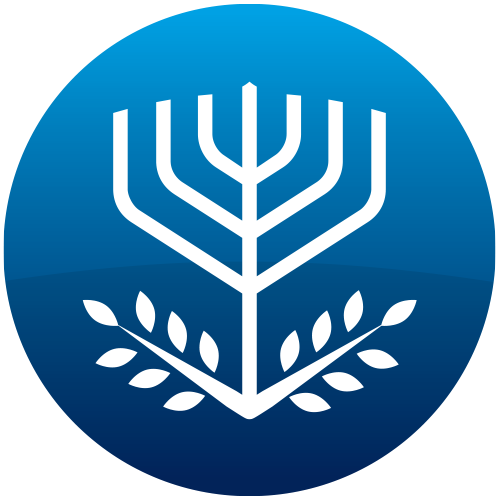 In less than a decade, CJCUC has moved to the forefront of theological advancements in Jewish-Christian relations. It has also changed the paradigm by engaging hundreds of thousands of Christians through Bible studies, developing Jewish theology with a positive understanding of Christianity and Christians, organizing faith-based events that bring Jews and Christians together, and coordinating humanitarian aid for Christians facing financial hardship in the birthplace of Christianity and other areas in the Middle East. CJCUC has published three academic works in advancing the Jewish-Christian alliance, Covenant & Hope: Jewish and Christian Reflections, Plowshares into Swords: Reflections on Violence and Religion, and Returning to Zion: Christian and Jewish Perspectives. These academic works were produced with our organizational partner - The Witherspoon Institute, an independent research center in Princeton, New Jersey. 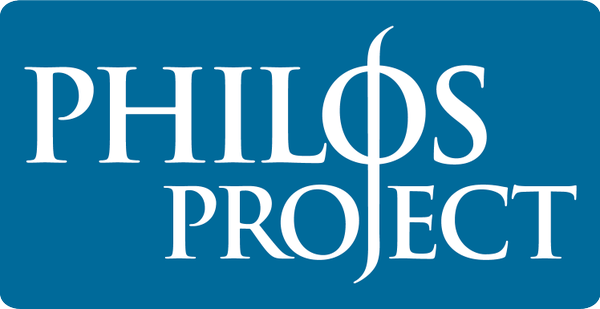 The team of contributors include: the late Dr. Robert Jensen (The Witherspoon Institute), the late Dr. Michael Wychogrod (Yeshiva University), Dr. Russell Ronald Reno (editor of First Things), Dr. Miroslav Volf (Yale Divinity School), Dr. Christopher Leighton (Johns Hopkins University), Dr. William Cavanaugh (DePaul University), Dr. Craig Blasing (Executive Vice President of Southwestern Baptist Theological Seminary), Dr.Peter Ochs (University of Virginia), and Dr. Gerald McDermott (Beeson Divinity). 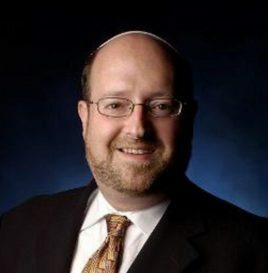 Besides publishing an organizational statement on a Jewish Understanding of Christians and Christianity in 2011, CJCUC facilitated the first Orthodox Rabbinic Statement on Christianity in December of 2015, which more than 75 Orthodox Rabbis have signed. Since its establishment, CJCUC realized that Scripture is the cornerstone for the spiritual relationship between Jews and Christians. 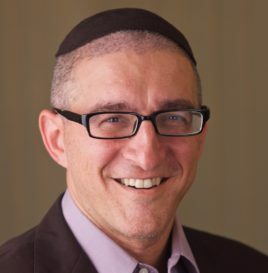 Both Judaism and Christianity revere and consider the Hebrew Bible as authoritative text and agree that understanding the Hebrew of the Bible is important to its tradition’s exegesis. Also, both Jews and Christians view these canonized texts as the bedrock on how to live a Godly life. 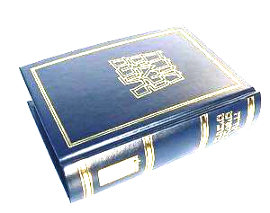 In addition, the Hebrew Bible was the only existing canonized text of Jesus’ ministry. Therefore, an understanding of the Jewish interpretative process of the Hebrew Bible is essential in understanding the early roots of Christianity. 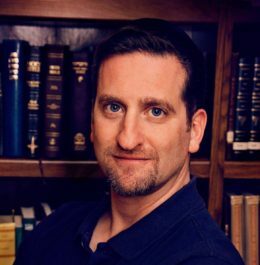 Cognizant of how both Jews and Christians interpret the Bible, the CJCUC staff began to develop an unprecedented Hebrew Bible text study that maintained the integrity of Jewish interpretative tradition without making a Christian feel like they are compromising on their hermeneutic principles. Our Bible studies have served as bridge-builder on how Jews and Christians have much in common with one another. Amidst a poor economy and an inadequate social welfare system, thousands of Christians struggle to find employment and to put food on their tables in Bethlehem. Blessing Bethlehem is the first Orthodox Jewish initiative to help the impoverished Christian Arab community living in the birthplace of Christianity by raising support and providing weekly food deliveries to hundreds of Christian families. When the three Coptic churches were bombed on Easter Sunday 2017, CJCUC put together a team of people to help the victims of terror by providing them with food packages. We also raised monies to purchase a metal detector for one of the churches. 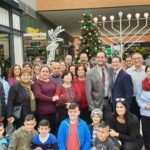 In addition, Blessing Bethlehem annually sponsors a Christmas dinner and gifts to the children for 120 Christian Arab families living in East Jerusalem and Bethlehem. During Sukkot (Feast of Tabernacles) 2014, CJCUC created another positive chapter in Jewish-Christian relations by conducting a Psalm 113-118 (Hallel) worship service in an Orthodox synagogue. Hundreds of Christians attended the celebration. This Hallel service led to the launching of the Day to Praise, inviting Christians from around the world to recite this series of psalms on Israel’s Independence Day. Every Independence Day, CJCUC conducts Hallel service for Christians in Israel. Tens of thousands of Christians have participated in this initiative by conducting their own local Day to Praise service in conjunction with this event. To help Christians understand the significance of Hallel, CJCUC published a devotional on these psalms in 2017 entitled Cup of Salvation. We also created a bi-weekly podcast produced by JewishCoffeHouse.com. Some churches are now using the devotional as part of their weekly Bible study. Due to our ever-expanding network of contacts, CJCUC acutely understands the importance of bringing Christian leadership and students to Israel. In the past, we have partnered with the World Jewish Congress to bring young Catholic priests from Latin America to Israel so they can learn the fundamentals of Jewish-Catholic relations in the birthplace of our respective faith communities. CJCUC is instrumental in developing initiatives in which Christian millennials have an opportunity to visit Israel to understand the Jewish people and the real Israel as well as combat the Boycott, Divest & Sanctions (BDS) movement on American and European campuses. 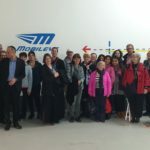 Our CJCUC Bible Study Home Fellowship group had the privilege this evening of hearing Rabbi Mois Navon, who patented the computer chip for Mobileye, deliver a fascinating lecture about Biblical Ethics & Technology at Mobileye Headquarters in Jerusalem.